On November 3, 2015, a single case of E. coli food poisoning was reported to the Washoe County Health District. By November 10, 2015, seven more cases were reported. Phil Ulibarri, spokesman for the Washoe County Health District, confirmed that at least six of those cases could be linked to a common source: a Reno-area restaurant called The Twisted Fork. If you or a loved one are diagnosed with E. coli food poisoning, are awaiting medical confirmation of infection, or have a question regarding a food poisoning lawsuit, you can request a free legal case evaluation by calling The Weinberg Law Firm toll free at 1-877-934-6274. Our phones are answered 24/7. You can also contact our lawyers online by using the “Free Legal Case Evaluation Form” found on this page. A diagnosis of E. coli foodborne illness can usually be confirmed by performing a stool culture, a type of laboratory test that can detect the presence of the bacterium in an infected person’s stool. Your doctor can order a stool culture if he or she thinks testing is appropriate. As a result of this outbreak, The Twisted Fork has decided to close its doors until the exact source of the contamination is identified. Twisted Fork General Manager Joe Clements, commenting on the situation, expressed that the restaurant’s “overwhelming concern is for the health of the people who are sick…It’s a horrible situation…”. 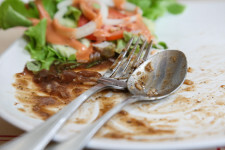 Please visit www.ecolilawsuit.com to learn about other ongoing E. coli food poisoning outbreaks.